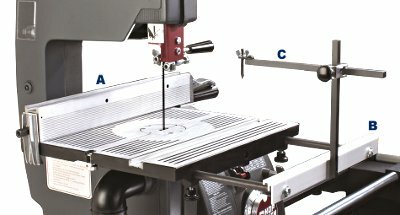 Get the complete bandsaw table system and save ! You'll get Aluminum Bandsaw Upgrade Table (45% larger) • Bandsaw Rip Fence (for improved straight-line cutting results) • Table Extension (adds 11-1/2" of outboard table support) and • Circle Cutter (helps you create perfectly round circles). This package will help you get the most out of your Shopsmith Bandsaw ! Now you can enjoy our new, 45% larger aluminum bandsaw table with all its provisions for our bandsaw rip fence, table extension and circle cutter. Order just the table now and add accessories later - or order the complete table system above and save! 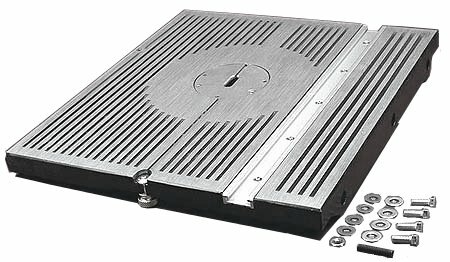 Replaces cast iron table on earlier model bandsaws.